Barber was just 21 and still a student at Philadelphia’s Curtis Institute when he composed this overture, “suggested by Sheridan’s comedy” of the same name. It is one of several of his works inspired by literature. The sparkling, energetic concert piece wasn’t intended for any particular production of Sheridan’s 1777 comedy of manners, but rather to capture the spirit of the play. 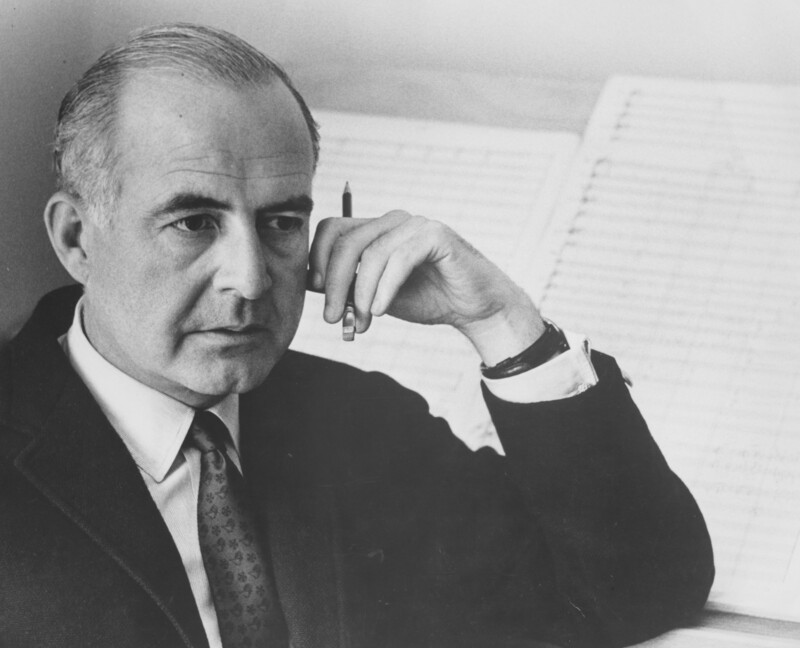 Premiered by the Philadelphia Orchestra in 1933, the Overture earned the composer Columbia University’s Bearns Prize. The music, like the comedy itself, reflects the maneuverings and high-spirited hijinks of characters with hilarious names like Lady Sneerwell, Sir Benjamin Backbite, Mrs. Candor, and Sir Peter Teazle as they engage in spreading unfounded rumors. The moods of the music shift swiftly, from dissonant to vivacious, from lively to lyrical, finishing with a rowdy flourish. One of the most delightful curtain-raisers in the repertoire. Download the program notes as a PDF file here: Barber_School for Scandal_1112. Over the years many symphonic institutions have tried, with inconclusive results. In his first season as music director of the New York Philharmonic, Alan Gilbert is pursuing a more experimental, potentially more exciting, agenda. For the New York premiere of Gyorgy Ligeti’s “Grand Macabre,” opening a three-night run on Thursday at Avery Fisher Hall, he has opted for a portable multimedia staging by the diminutive production company Giants Are Small, based in Sunset Park, a blue-collar neighborhood in Brooklyn. Alan Gilbert shows a certain comedic flair in promoting the New York Philharmonic’s forthcoming performances of György Ligeti’s Le Grand Macabre (May 27-29). More videos are available on the Breughelland channel. In his brilliant Clarinet Concerto, Magnus Lindberg exploits myriad facets of what the instrument can do, from playing soaring melodic lines to making almost rude-sounding noises. He composed the work in 2002 for the remarkable clarinetist Kari Kriikku, who performed its United States premiere with the New York Philharmonic, led by Alan Gilbert, on Saturday evening at Carnegie Hall. Mr. Kriikku, a physically flamboyant player of Olympian virtuosity, tackled with aplomb the athletic demands of this rewarding and rigorously constructed single-movement work, whose five sections have allusions to Brahms, Debussy and jazz. Making his debut with the Philharmonic on Saturday, Mr. Kriikku played with a glowing tone and sensual spontaneity in the rhapsodic interludes. He offered a breathtaking cadenza, performing acrobatic feats in the instrument’s highest range. 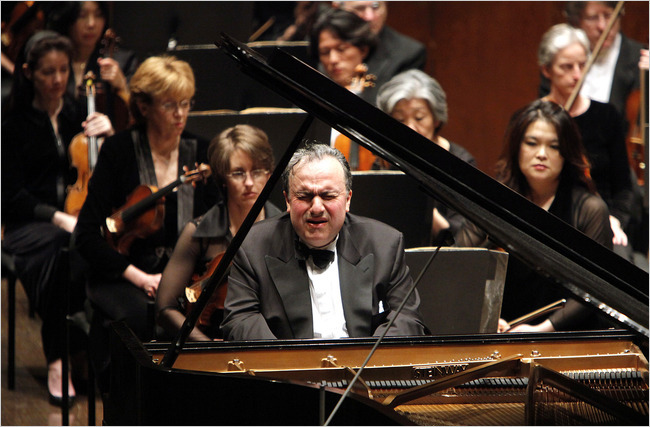 While some contemporary composers view the symphony orchestra as archaic, Mr. Lindberg (the Philharmonic’s current composer in residence) has called it “his favorite instrument” and “the perfect typewriter where you have all the keys.” In this concerto he gives the orchestra a workout that results in dense, shimmering soundscapes, whose kaleidoscopic colors were aptly illuminated by Mr. Gilbert. Read the full review in The New York Times here. On paper, the two Russian works that Alan Gilbert conducted with the New York Philharmonic in an impressive concert on Thursday night at Avery Fisher Hall might seem unlikely choices to be included in programs for the orchestra’s important tour of Europe, which begins on Jan. 17.